Christmas is here, so also is the New Year Holiday. It is a time to share, give and gather with family and friends to laugh, enjoy togetherness, reminisce and celebrate, and with celebration comes food and drinks. As Nigerians, let’s be honest, we sure know how to celebrate the festive period. With celebrations comes lots of fat-inducing foods and drink that are so deliciously looking and uneasy to pass over. And because largely what we eat contributes to our fat loss goals, I decided to give you some tips that will help you enjoy yourself, eat in a way that you will not be worried sick that you will add another pound of UGLY fat on your body after the festive period is over. Cheat #1 – Set a Healthy Meal Timetable & cook your meals in a healthy way. E.g. 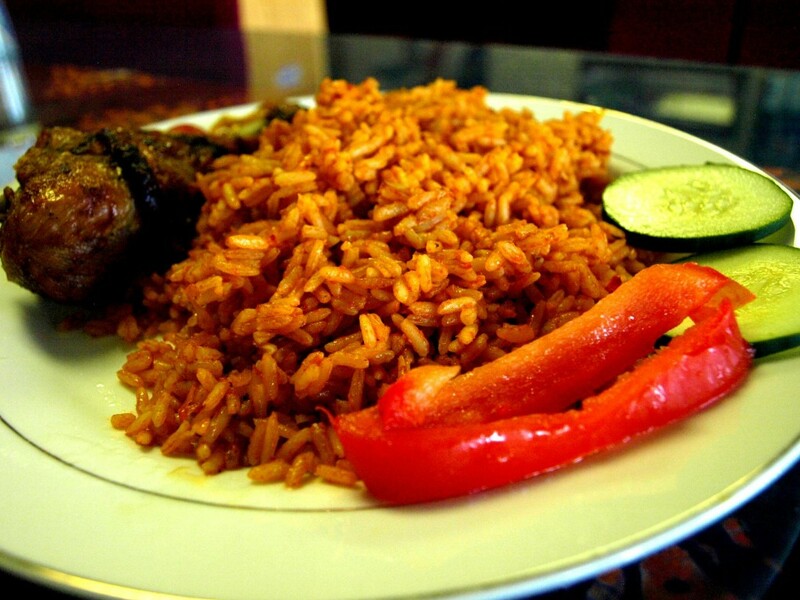 Cook your fried rice or Jollof rice with less oil or use healthy olive oil. Peel the skin of your chicken and roast in the oven instead of frying. Healthy does not mean boring! While everyone is having their favourite cakes, you too can have your fruit salad. Cheat #2 – Serve your meals using what I call The 50-30-20 method. Let 50% of your meal be protein (e.g. Chicken, Lean meat, Moi Moi), 30% be vegetables e.g. Salad sides, Vegetable stew, etc and 20% be carbohydrate e.g. Rice,pounded yam etc. For example, rather than a “BIG Plate” of Pounded Yam. Instead, opt for pounded yam the size of our fist added with lots of chicken and beef. Rather than have a “big plate of fried rice, opt for a small portion of fried rice, with Moi Moi and a big pice of chicken, fish or beef. NOTE – This one tip alone can help you eat all the “forbidden food” that you would not consider eating over Christmas. The carbohydrates in food we eat is the MAJOR culprit for making us fat. Eat less of it and more of the healthy foods. Your subconscious mind will consider it a full plate without regarding the size. You are more likely to eat two plates of food either while eating with a large plate or a small plate. So, do the right thing, eat with a small plate. Personally, I do this at home. I now generally have a set of smaller plates that my Mrs uses to dish my food. When you have lots of beer, soft drinks e.g. coke, fanta, andwine etc on the table, its easy to gobble it down your throat during the Christmas period. After all it’s Christmas and you want to enjoy yourself. But let me warn you, most fizzy drinks, beers and wine contain a high percentage of sugar and contribute to weigh gain. Instead of the above, drink water! Water fills you up, make you eat less. Plus it has no calories whatsoever! 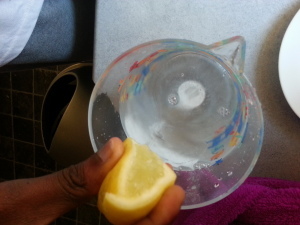 Cheat #5 – Squeeze one lemon into a jug of water. If you crave for fizzy drinks, squeeze some fresh lemon in a jar of water and drink it. Ensure you drink a glass of lemon flavoured water or every glass of alcohol or soft drink you have. It reduces your cravings and make you drink less. Instead of serving processed and packaged Five Alive orange juice or Fizzy drinks that contains lots of added sugar, you can prepare your own freshly squeezed fruit drink from fresh orange. If you don’t have a juicer, you can use a blender to make a Smoothie. 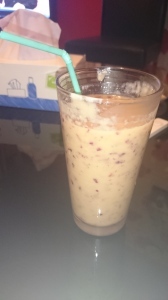 Here’s an example of a juice smoothie I made using Banana, Grapes and Carrots. Combine various different types of fruits to make a healthy bowl of fruit salad that you can share with the family over Christmas. A good example is a mix of chopped Banana, Pawpaw, Apple, Pineapple etc. This is healthier and will give you a balanced meal. Christmas is in few days, The new year day is about six days later. try some of these tips I have shared with you on this article and let me hear your feedback on how it goes. And let me “shamelessly” plug in that if you are yet to take advantage of my Christmas Discount Sale Offer, where I offer you my fat loss materials at nearly 50% off the original price, make sure you get yours right away by clicking this link. The offer expires today (24th November) at 4.pm when the banks close. This means if you don’t get yours today, you will NEVER get it again. So get yours before its too late. From myself and my family, I want to wish you a merry Christmas and a fabulous new year ahead. Is Fat Gene Responsible For Making Me Fat?